It’s one of the hardest decisions to make and you want to make sure it’s the right one. This time last year, a close friend faced one of the hardest decisions she’d ever encountered with her beloved but very aged and frail dog who was battling day after day with arthritic pain and discomfort. Dr Marie de Lint of LetMeGo veterinary euthanasia service was there to support my friend and her family through this difficult time. The decision for an in-home euthanasia was carefully made and with LetMeGo’s assistance, the dog passed peacefully in the familiar surroundings of her home. 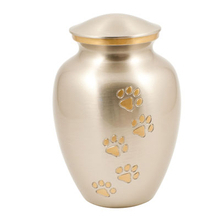 Alternatively, Animal Welfare League (AWL) at Wingfield offer an on-site euthanasia and cremation service (by appointment) – stay with your pet or have the team collect your pet from home and if you choose to cremate your pet and want to retain their ashes, AWL will return with the ashes in an urn of your choice. Proceeds from AWL’s pet cremation services are directed back to supporting lost and abandoned animals in care at AWL’s shelter. 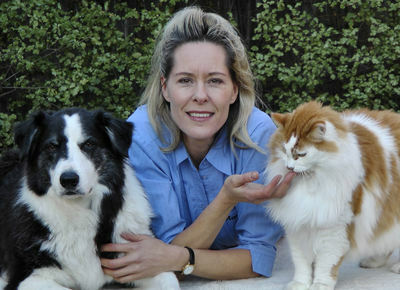 For more information go to www.animalwelfare.com.au/pet-services/cremations. It can be a small price to pay for peace of mind. I recently witnessed a work colleague’s journey through making the hard decision of euthanising her aged cat who was also her best buddy and even though her local vet provided support and counselling, the complete cycle of making the decision and following it through with euthanasia, then handing over her beloved cat for cremation took his toll with deep grief and loss. This loving pet owner chose to have her cat cremated individually (at extra cost but for what was ultimately extra peace of mind). It took ten days from euthanasia to the return home. The waiting was the worst, once she had the tangible ‘real thing’ (her cat’s ashes in a gorgeous urn), it provided instance calm with my colleague stating ‘it feels like he's back home, here with me and always will be’. I am lucky enough to have the most wonderful, loving cat and dog but I’m aware that the time will come when such hard decisions will need to be made and thanks to the experiences of my friend and colleague, I’m better prepared for what’s to come.